2018 has brought many changes to the Church curriculum. Visiting Teaching has also changed. These are exciting changes and will really help us be better visiting teachers! One of the changes to the Visiting Teaching program is there will no longer be a monthly message to share with your Sisters. Because of this, our monthly handouts will also be a bit different! 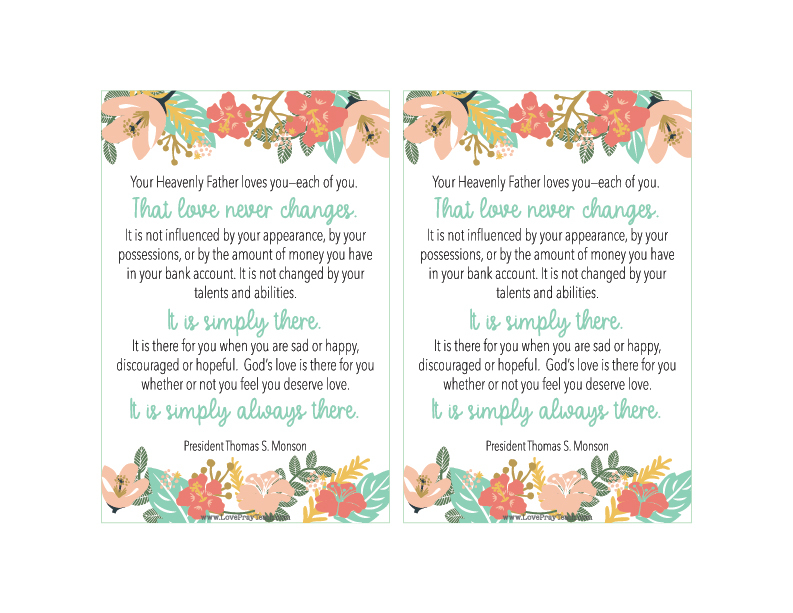 We will still offer a free handout and bulletin board poster, but the quotes on them will be various quotes from prophets and other church leaders. I'm hoping that you will find many uses for these handouts! I will be adding them one month at a time, but they will stay up all year so you can pick and choose which ones might apply to the Sisters you visit or even just for yourself! 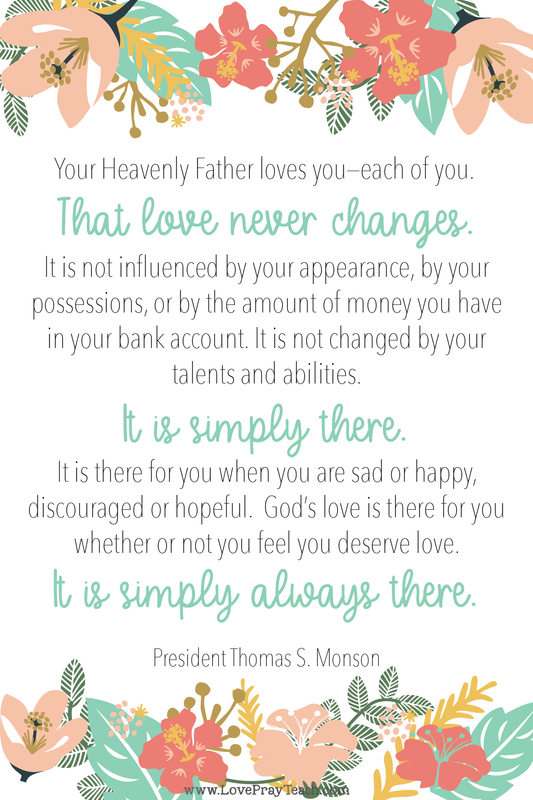 This month, I chose a quote from our dear departed Prophet, President Monson. 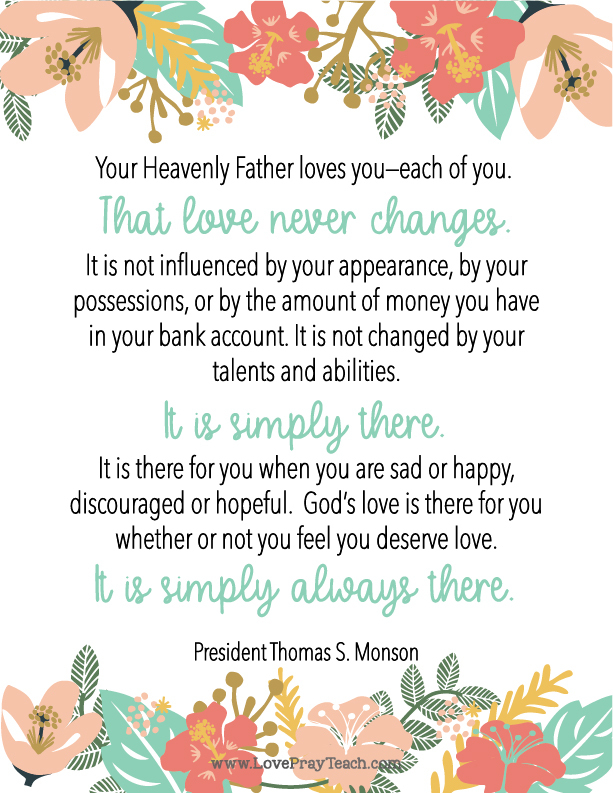 In visiting with your Sisters this month, please take a moment to reflect on the influence that President Monson had in your lives. I chose my very favorite quote from him. This quote has helped me during some very difficult trials in my life. I hope that you will enjoy it also! Note: The font that I used, when displayed on your screen, will have the "l" look a little funky! But I promise, when you print it, it prints perfect! 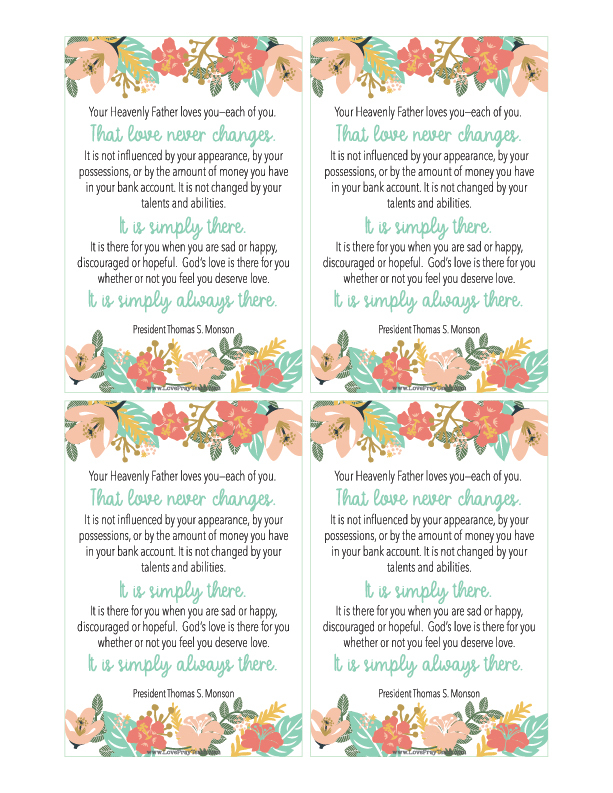 October 2017 Visiting Teaching: "Enfolding with Love Those Who Stray"
Come, Follow Me for Individuals and Families 2019 and FREE New Testament Scripture Reading Chart! Please do not share our files with others. You have permission to print as many copies as you need for personal and/or church use.